In a nest of comfort and care, surrounded by the healing natural world we produce life-enhancing retreats, host retreats featuring meditation elements and work with others to co-produce meditation retreat programs that take advantage of the unique opportunities for meditation practice in a variety of indoor and outdoor spaces surrounded by nature. The normal state of many city folk, especially in an era of smartphones, computers, and constant connectivity is often that of partial attention. In our normal lives we are bombarded with words and images of advertisers and a constant stream of moving images and sound all screaming for our attention. In our hyperconnected state we multitask. It makes us feel we can achieve more. But it leaves us more disconnected, exhausted and unhappy. Unplug. Quiet the mind, open the heart and listen deeply. exploring inner worlds and outer worlds. Beyond cell phone signals and constant connectivity, bathing in our forest setting, the Edge plays host to a variety of meditation programs. We’ve been joined by mindfulness-based stress reduction teachers, and hosted retreats wtih Tibetan monks. If you are a meditation teacher looking for a home to teach meditation, you have found your oasis. From time to time we provide meditative program elements to stimulate Renaissance time and Insight. This type of contemplative meditation is based in reflection, inducing a continuous flow of thought, creativity, revelation and synthesis. Loving-kindness meditation promotes joy in ourselves and our world, and sound baths create a zenlike sense of tranquility. Research even shows that loving-kindness meditation “changes the way people approach life” for the better. It actually puts people on trajectories of growth, helping ward off depression and “become ever more satisfied with life.” This form of meditation promotes the attainment of a meaningful and successful life, like having an increased sense of purpose, stronger social support, and less illness. With over 20 years experience hosting shamanic retreats and yoga retreats we can provide shamanic drumming and guided visualization to enhance your retreat experience too. Everyday mindfulness can be practiced by spending time in the garden, helping in the kitchen, wandering forest trails or spending time in a sheltered forest therapy pavilion. Open monitoring or choice-less awareness can be practiced walking forest trails. Acceptance and loving kindness can be practiced in groups or individually in a variety of indoor and outdoor settings. Silent meditation programs can be hosted by a team that is experienced in, and willing to create the conditions you desire, by sharing in holding the quiet space you desire. Art and creative contemplation with creating mandalas, soul cards and vision boards, mask making, watercolours, etc. Sweat your prayers and illuminate your life by going deep within in Grandmother Cedar Sauna Haus experiences. Use sound to open your awareness with guided hand-drumming circles, sound baths, shamanic drumming. Meditation spaces include yoga mats, eye pillows, percussion instruments, blankets and Apple Play / IOS compatible sound systems. Accommodation & Meal packages from $210 – $350/person/night, depending on accommodation selection. Retreats at the Edge require a minimum of 8 participants. Your mindfulness program add-on fee is yours. Download our new Retreat Planner! Use of gathering & learning spaces including our Yoga Dock, Hive Deck, Dragonfly Studio, Butterfly Room, and Yoga Garden. NEW: Complimentary accommodation & sauna for your facilitation team the night before your retreat begins. Start the conversation. Email [email protected] or give us a call at 888 383 8320 ext 2, and give us a sense of your dream retreat. With a short phone call, we’ll be able to answer any questions you may have and let you know our availability. Do you have already know what date you are looking for? Contact us to check if your dates are available. It is good to be prepared with a backup date as well. To confirm your date, we do require a $600 deposit from all custom groups. 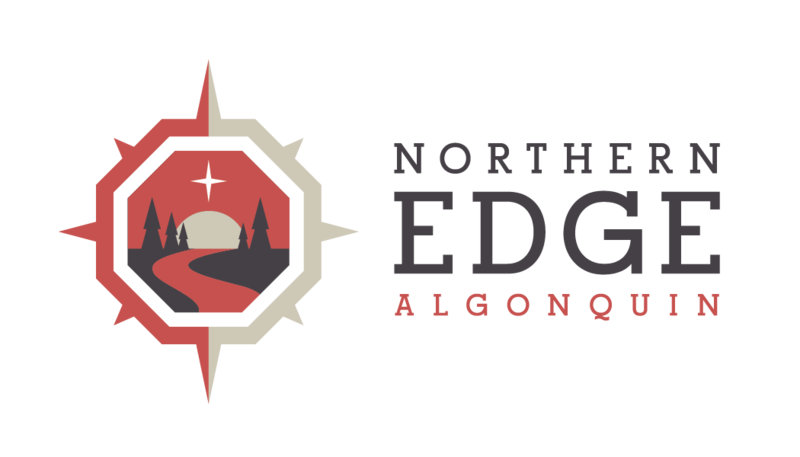 "I had a wonderful time @ Northern Edge the beginning of June to attend a Yoga Retreat and what a magical weekend it was. The beautiful surroundings right on a lake with nooks, restful areas to reflect,go within & contemplate . . ."
When I signed up, I figured I’d have a pretty good time. But I was astonished by how truly wonderful it turned out to be. And the impact that it had on me, physically, mentally and spiritually. Thanks to Wendy’s and Joanna’s gentle guidance, loving care and slightly wicked senses of humour – I not only had the best vacation I could imagine, but I was able to really relax, gain some much needed perspective, rediscover my love of yoga and the outdoors and overcome some hurdles which turned out to be more mental than physical. Then there’s Greg’s awesome meals. Yummy. In short, A Quest for Balance completely rocks! Once you experience it, you’ll kick yourself for not doing it sooner. Read more Nature Retreat Testimonials . . .